JV Consulting Human Asset Management has over 25 years of experience in talent management, including selection, hiring and development solutions. We have made a powerful impact on our clients’ businesses through our hands-on “guidance” approach to all “people” goals and challenges they are facing. ~ Have you experienced the joy and energy that comes from having employees in roles that were a perfect fit for everyone? ~ Have you felt the pain of having employees in positions that weren’t right for them? ~ Have you been in a job that you knew wasn’t right for you? ~ Are you ready to find a career that is your passion? Our Mission is to help employers create a business environment where everything clicks and guide individuals to the job and career that is right for them! We Will Help You build your individual self-awareness and create an environment of round pegs in round holes where people play to their strengths and top performers are the norm not the exception. Your Value Compared to Your Investment The cost of hiring, developing or promoting an individual who may not be suited to the job can leave an organization dead in the water. The cost to your health and happiness of being in a job that is not right for you goes deep. We customize solutions based on needs you express. 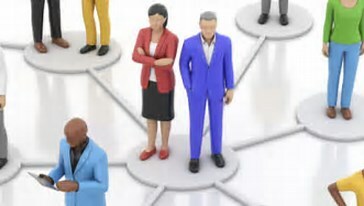 Our work includes creating an onboarding program that fosters quick ramp-up time, job mapping, competency gap study, understanding generational differences in your workplace, and a comprehensive analysis that takes into account an individual’s thinking skills, behavioral patterns, occupational tendencies and interests, competence to do the job and personality style. This provides an integrated picture with practical, individualized recommendations. The tools we incorporate into our work with you have been tested to ensure compliance with EEOC and Department of Labor standards. Use of our tools and objective standards provides a positive defense against claims of discrimination. All of our tools are race, age, and gender blind. Assessments are administered online and results are available almost instantaneously! Reports are presented in business language, and do not require further professional interpretation. These measures are not expensive and customizing is entirely complimentary!